Illnesses and injuries never seem to happen during daytime hours on the weekdays. When your child is running a fever and the doctor’s office is closed, or a weekend sports injury has you limping, MedStar PromptCare in Charlotte Hall is there for you and your family. Formerly known as Express Care, the office makes a much better alternative to the emergency department, and you can save your spot in line with online check-in. 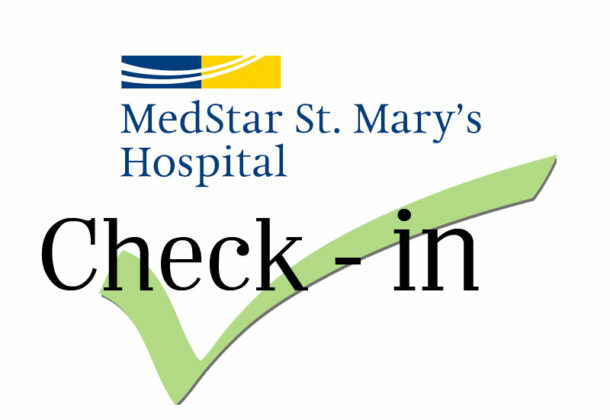 MedStar PromptCare is part of the MedStar St. Mary’s Hospital family. PromptCare is more than a walk-in clinic. The team of providers can diagnose and treat non-life-threatening illnesses and injuries for patients of all ages. The facility has X-ray services and laboratory testing available on-site for common illnesses or conditions like strep, mono, influenza, urinary infection, as well as pregnancy. If a condition needs further testing like blood tests or cultures, most results can be returned in 48 to 72 hours. Occasionally, advanced testing for serious illnesses requires a referral to a nearby hospital’s emergency department. The on-site X-ray and laboratory lead to faster diagnosis and treatment, and MedStar’s providers communicate with your primary care physician so overall care is seamless. Patients who need follow-up, can be connected to a specialist and PromptCare can even help schedule the appointment. As part of the MedStar St. Mary’s Hospital family, MedStar PromptCare at Charlotte Hall provides convenient, coordinated care when you need it, from a name you can trust. The facility is located at 37767 Market Drive, Suite 100, in Charlotte Hall, Md. The phone is 301-290-1499. The facility is open from 8 am to 8 pm every day. No appointment is needed to take advantage of these services. MedStar St. Mary’s Hospital is located in Leonardtown, Md.